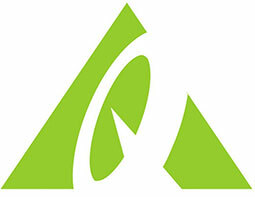 Corporate site of Vizio, an American manufacturer of HDTV and consumer electronics. VIZIO Big Screen Sale! Get up to $650 Off VIZIO SmartCast Display, Sound Bar or Bundle. Get 50% off your next purchase when sign up for email. Get up to $849.99 off when you bundle Displays and Sound Bars. Big Game Sale! Save up to $800 on our big screens, and audio + Free Shipping Included. Slam Dunk Deals! Save up to $800 on a VIZIO SmartCast 4K HDR Display + Free Shipping. Big Screen Sale! Save up to $650 when you purchase a VIZIO Display, Sound Bar or Bundle + Free shipping. Get up to $300 Off MSRP Vizio Smartcast Display and Sound bar. Big Screen Sale! Save $400 on New 4K HDR Display + Free shipping. Year End Holiday Sale! Save Up to $650 on big screens and audio + Free Shipping. Get Up to $500 off 4K UHD Display, Sound Bars & speakers + Free Shipping. Save up to $800 on big screens, and audio + Free Shipping Included. Get up to $800 Off + Additional 5% Off Your Order + Free Shipping Included. Get up to 30% off + Extra 5% Off Best Selling M&P Displays + Free Shipping. Save up to $700 during New Year Sale + 5% off + Free Shipping Included. 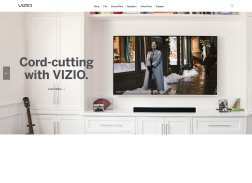 VIZIO Holiday Sale! Save up to $650 on our big screens, audio and bundles + Free Shipping Included. Get up to $300 off CES 2017 and CNET Award Winning Displays + Free Shipping. Big Screen Sale! Get Up To $950 off New 4K HDR Display or Bundle + Free Shipping. Get 5% off your next purchase with newsletter subscription. Valid for first-time registrants in U.S. only. Mother’s Day Sale! Save an Additional 5% on all TVs & Soundbars, 2017 Clearance and New 2018s. Get 5% off your next item purchase when you sign up for emails. Offer valid for first-time registrants only. Valid in U.S. Only.